In France where the run-up to the presidential election is the excuse for the right-wing parties to fuel once again the scare of illegal immigration and harping on how it steals work from the “bons Français” or is a burden to the welfare state, it’s a real delight to discover “Le Havre” (2011) and Aki Kaurismäki’s poetic take on this burning issue. The story is set in the Normandy industrial harbour city of Le Havre (‘the haven’ in French), notorious for its rough working-class atmosphere and post-war architectural ugliness . The city was completely destroyed in WWII and its controversial concrete-heavy modernist reconstruction by Auguste Perret earned it Unesco World Heritage status in 2005. What makes the film really enthralling is that it is not set in a specific time period, rather, it joyfully compiles anachronisms and mixes up retro and contemporary elements of French society between the 1950s and today. And as for so many other film makers setting their eyes on France, from Jean-Pierre Jeunet to Woody Allen, Kaurismäki revels in a creating its vision of the old days, with its modest corner shops, bakeries and smoky cafés, in a village-like atmosphere where everyone knows – and cares about – each other; but the film also indicates a fascination for film noir (although very much in colour here) with its shabby, ill-lit interiors, its part-threatening part-farcical-looking characters, its coarse but benevolent matrons, its petty police inspectors. However old-fashioned Kaurismäki’s Le Havre might be, where modern technology and wild capitalism are conspicuous by their absence , there are a many hints at the present times – from the very contemporary and sore topic of human smuggling from Africa to Europe and of ‘jungles’ (migrant camps) in the North of France, to the ominous ‘CRS’ police force in their current uniforms. But thanks of a theatrical photography and surreal screenplay, the film serves as a beautiful and touching fable about humanity. Marcel Marx (the excellent André Wilms) is a middle-aged shoe shiner who, as many of his profession, struggles to make ends meet. He leads a simple life between his loving but ailing wife (Kati Outinen as Arletty – another film noir reference), his fellow Chang (Quoc Dung Nguyen), his dog Laïka and his local café. From Claire, (Elina Salo) the café owner to Yvette (Evelyne Didi), the baker’s wife and the corner grocer (François Monnié), everyone seems to have a lot of respect and affection for Marcel and his pleasant manners, in spite of him being close to penniless. One night, a group of African illegal immigrants are discovered in a container on the port – originally on its way to London. The police ‘respectfully’ arrest the free-riders but Idrissa (Blondin Miguel), a 12-year old kid, manages to escape. 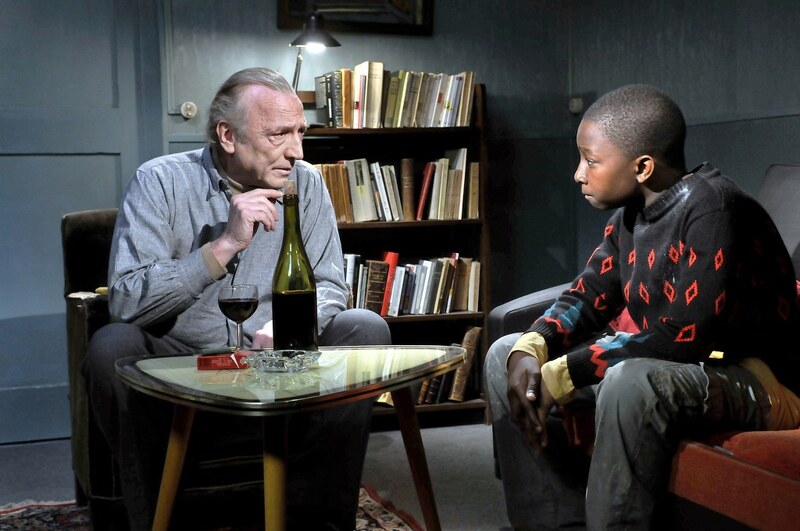 Later, whilst on his lunch break, Marcel catches sight of Idrissa and tries to give him some food – but he attracts the attention of Inspector Monet (Jean-Pierre Darroussin – brilliant as ever) who is after the kid. Idrissa however is not found and remains on the run. He eventually takes refuge at Marcel’s who will move heaven and earth and involve the whole community to help the child join his family, evading an increasingly suspicious police. Aside from its pleasing, old-school style and delightful characters, ‘Le Havre’ offers a very refreshing and humanistic view on how the issue of illegal immigration could be tackled: simply not as an issue. Against far-right and populist opinions – represented here by slanderous news headlines and Jean-Pierre Léaud’s character as the ill-intented watching neighbour – who blame it all on the immigrants, almost de-humanising them and supporting blunt selfishness, Kaurismäki presents us with a world where helping out other people doesn’t have to cost anything, where human goodness is natural and not driven by greed, guiltiness or foolishness. Marcel is very matter-of-fact when he devises ways of finding Idrissa’s father or raising money to send the child to his mother, he doesn’t try to appear as a helpful old man, he acts out of genuine generosity – and yet there is nothing mawkish in his attitude, in a “You got a problem? We’re gonna fix it.” kind of way. It’s fair to say the Rohmer-like screenplay, with its sometimes extravagant lines, gives the characters a rather peculiar substance, closer to theater than cinema, but it’s a reminder for the viewer that what we have here is a tale, no documentary or biopic – and Kaurismäki ‘s plot is deliberately ingenuous and simple, like a tale should be. It’s also an extremely funny one, with hilarious characters and situations that reach an apex when Little Bob – a real-life androgynous rocker from Normandie – comes on stage. 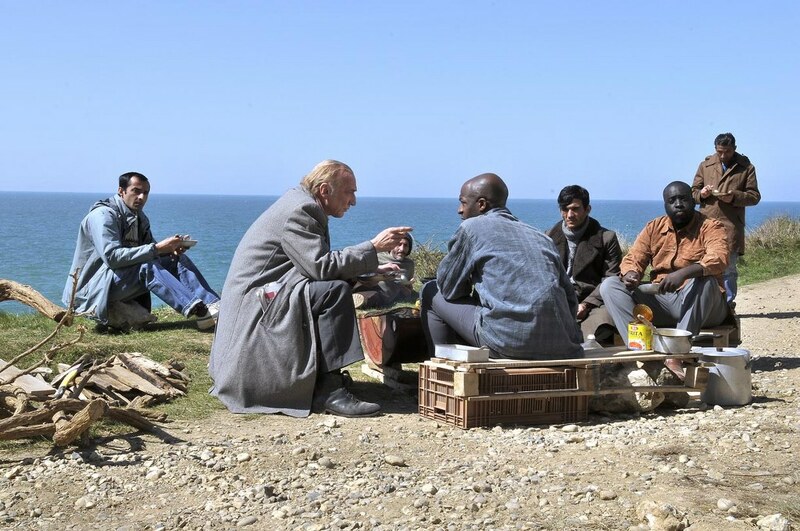 Beyond the criticism of the way migrants are being treated in the Western world, ‘Le Havre’ is a wonderful, light-hearted and unpretentious ode to human kindness – which will leave even the most skeptical with a big smile on their face. 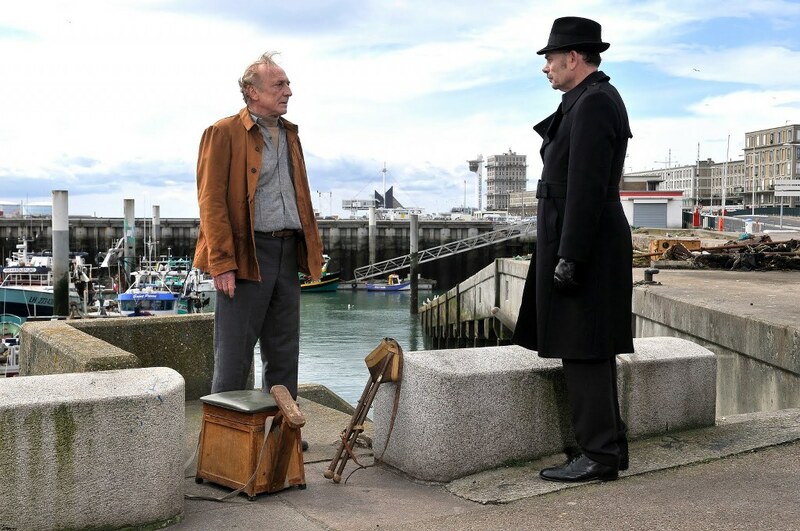 Have you seen ‘Le Havre’? Did you enjoy it? Share your views, go on, leave us a comment! Previous How was your ‘Weekend’? Enticing, moving and real. How about yours?